More information: PREMIATA FORNERIA MARCONI, better known in English speaking countries as P.F.M., were arguably the finest Italian Progressive rock band of the 1970’s and certainly one of the most well known. A successful act in their home land, they came to international attention when they signed to EMERSON, LAKE and PALMER’s label MANTICORE in 1973. In 1974 the band toured the United States and Canada to great acclaim, recording material at concerts in Toronto and New York City. 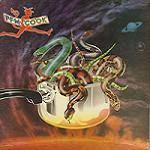 The following year edited highlights were released by MANTICORE as the live album “COOK”. This newly re-mastered limited edition boxed set of the album also includes two additional CDs featuring the band’s entire set of their concert in Central Park, NYC on August 31st 1974, newly remixed from the original 16-track master tapes. The set also includes a lavishly illustrated booklet, new essay, fully restored artwork and two collectable postcards.